Tax deduction is basically a type of reduction in the value of income which can be taxed. 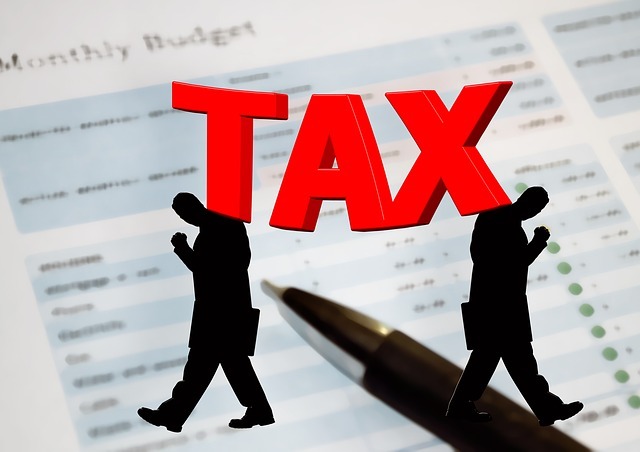 Being a result of all the expenditure, tax deductions are meant to reduce the taxable income by subtracting the tax credits from your own taxes. Now there are a lot many tax deductions that went away this year. Here is a list of some of these. Earlier the employees were reimbursed for tax free bicycle commuting expenses. Also the employer had the power to make a deduction if they offered the benefit. But now since the TCJA has suspended this benefit, this deduction has been employed on both bike commuters and their employers. And with these deductions for parking, transit and carpooling has also been removed. In the past days, while someone was relocating a new job, the cost associated with it was deductible on the 1040 from but now this deduction has been gone irrespective of the distance that is moved by you. Before this deduction took place, the person who made alimony payments used to receive an ‘above the line deduction’ and the person who had to receive the alimony used to count this received money as a table income. But now, the spouse who is paying will not receive any deduction and also the one who is receiving will no longer need to make a declaration of the payments as the taxable income. Recently the TCJA has eliminated the deduction on the foreign taxes which were earlier paid on real estate. While you could earlier deduct taxes of the foreign property on Schedule A which could be either for the regular resistance or in some cases as a second home. In the past days, on could easily deduct the losses that were related to a disaster or even in the case of theft.ans his could be deducted to the extent that these losses could not be covered by any insurance or some kind of disaster relief. Bu now the deduction for the causality and theft losses which was in the schedule A as per the TCJS. This tax has been reduced as well. Earlier these were termed as the work related expenses which included travel, meals, transport facilities, dues related to both union and professional fields, depreciation in the equipment of the office, expense of both office and home, business liability insurance, legal fees, clothes and uniforms related to work or office sector and ,any more. But now all of these are gone away completely. The deduction under this category are related to the type of taxes included the cost of various software’s that were used in the tax preparation purposes, also the cost that was for the hiring of a person who was a professional in tax or the cost for the buying of a tax publication. And with that, deduction for the filling of fees electronically, or the fees that as paid in order to fight the IRS which included things like attorney fees etc are now all gone. Thus it is clearly seen that the TCJA has increased the standard deduction by two times and removed the Itemized deduction. All of the above are a list of most of the tax deductions that went away this year.